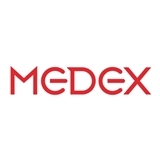 MEDEX DIAGNOSTIC AND TREATMENT CENTER (Forest Hills) - Book Appointment Online! Medex Diagnostic & Treatment Center in the Forest Hills neighborhood of Queens is a multispecialty clinic with a large team of experienced doctors ready to help patients throughout New York City. We are providing state-of-the-art care for patients of all ages for over 15 years. The doctors at Medex Diagnostic & Treatment Center do everything they can to give patients the best care to restore their well-being as soon as possible. They also offer several preventive care options to keep patients healthy and diagnose any health problems as early as possible to ensure the best patient outcomes. The medical team includes doctors who specialize in cardiology, dermatology, ENT services, gastroenterology, internal medicine, orthopedic surgery, physical medicine and rehabilitation, podiatry, psychiatry, urology, optometry, allergies, and gynecology. We are also an approved location for the USCIS civil service medical exam. The examination is required to establish that an applicant is not inadmissible to the United States on public health grounds. To expedite the process, when making an appointment with us, please provide your insurance ID number in the notes section. Additionally, if you should need to cancel your appointment for any reason, kindly provide at least 24 hours notice. Very attentive, friendly, knowledgeable, capable, hip, and supportive!! I felt taken care of, heard, and respected. He took his time to explain everything, include me in the treatment plan, and he even went out of his way to set me up with his colleague and specialist. 10/10 recommend! He's very knowledgeable and I would definitely recommend him. I waited an hour for an appointment that I had previously booked in advance. There was to much going on at once with the front desk. Once you got inside to see the doctor, he was straight forward with questions just like most doctors. Scheduled for an exam to make sure diagnosis correctly. Second visit was better. On time with appointment and less confusion. My visit were very helpful.